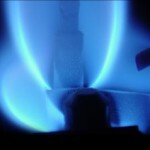 We were pleasantly surprised to learn that the number of households in the UK classed as ‘fuel poor’ declined in 2011. The fuel poverty figures, published in the Department of Energy and Climate Change’s annual report, show a small fall from 2010 statistics, taking the number of families in fuel poverty down to their lowest level since 2008. To fall into the category of fuel poor, at least 10% of a household’s income will be spent on energy bills. The Government’s Fuel Poverty Statistics, which were made public yesterday, revealed that 4.5 million UK homes were having difficulties when it came to paying for their heating and electricity bills. The figures were down from 4.75 million the previous year. The Department of Energy and Climate Change (DECC) cites reduced energy usage, driven by energy efficient home improvements, and an increase in incomes to be behind the reduction. But it’s not all good news. According to DECC the fuel poverty aggregate gap – which measures the difference between households being in or out of fuel poverty – hit the £1.15 billion mark in 2011, following an increase of £22 million. Commenting on the newly published statistics Greg Barker, Minister of State for Energy and Climate Change said the figures showed that implementing energy efficiency measures in homes was the most effective way to fight fuel poverty and rising enery costs. 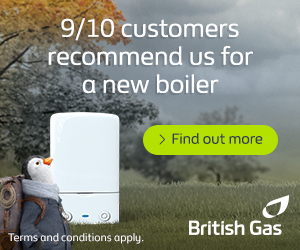 Government grants and schemes like the Energy Company Obligation and the Green Deal have been introduced to help UK households introduce energy saving measures such as installing loft and cavity wall insulation, fitting double glazing and replacing their old inefficient boilers to help keep homes warm, save energy and bring down escalating energy bills. But clearly there’s still a long, long way to go.